Gone are the days when Sci-fi remained fiction we see in movies, now, foldable smartphones are becoming a thing. 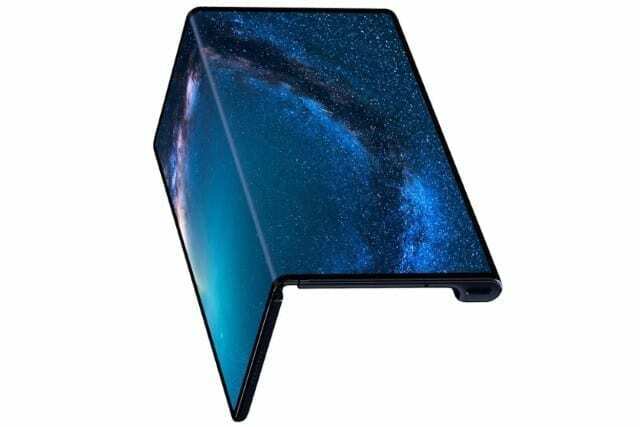 Just like Samsung, Huawei has shown to the world its futuristic foldable smartphone known as the Huawei Mate X. The smartphone folds on its back rather than inwardly like a book, the way Samsung Galaxy Fold works. 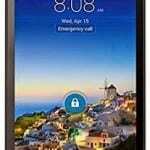 Consequentially, the smartphone comes with triple display screens, one of which is a mammoth 8-inch tablet display. In designing the foldable mechanism of the Huawei Mate X, Huawei employed a first-time Falcon Wing hinge system. The components used in building the hinge system weren’t exposed by the OEM but they made sure to detail how durable the mechanism is. Having undergone over 100,000 folds during lab stress tests, Huawei assures users of the phone’s durability. To its unfolding part, a button is found on the sidebar of the device (located at the rear). Once the button is pressed, the phone extends into the FullView tablet display. Also on this sidebar, you’ll find the triple cameras, a fingerprint sensor that doubles as the power button and the USB-C at the base of the bar. The vertical bar is placed on the left side of the rear 6.38-inch OLED panel. It comes with a resolution of 2480 x 892 pixels. Up front, a larger 6.6-inch screen serves as the phone’s frontal display. With an aspect ratio of 19.5:9 aspect ratio, Huawei Mate X becomes the foldable smartphone with the smallest bezels ever. It’s also equipped with 1148 x 2480 pixels. In the unfolded phone state, you have a superb 8-inch tablet functioning with 2200 x 2480 pixels resolution and 414 ppi pixel density. In like manner with the Galaxy Fold, whatsoever is seen on the smaller screens extends to a fuller version on the tablet display. Huawei’s reputation in photography extends to this smartphone. Thus, we’re seeing triple camera composed of a 40MP wide lens, 16MP ultra-wide sensor, and 8MP telephoto sensor. The absence of a selfie camera takes nothing off the uniqueness of the device. How’s that? We all know rear cameras are better than selfie cameras when it comes to quality. The good thing is, you can use the triple rear cameras to snap selfies and see yourself in the rear display. Yes, it works as a viewfinder. It gets more fascinating when you ask someone to capture you and you can see how you look directly from the rear display. In other words, the phone sports dual viewfinder – one for the photographer and another for you that’s being snapped. Unsurprisingly, Huawei Mate X is powered by the Kirin 980 SoC. 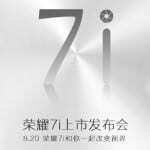 Since its the flagship 7nm SoC produced by Huawei themselves, nothing short was expected from the brand. The actions of the chipset are balanced up by an 8GB RAM. Moving on, a 512GB storage saves up files on the smartphone. An expansion is guaranteed once a Nano memory card is used. Mind you, an NM card can increase the storage to the tune of 256GB. Android 9.0 Pie OS backed with the Emotion UI 9.1 run as the software entities of the device. One of the features on the UI that enables the continuation of actions from the smaller screens to the larger display is the Screen Continuity feature. Two batteries totalling 4,500mAh are positioned on each side of the smartphone for its duration. The smartphone is primed for outstanding charging speed thanks to Huawei’s 55W Super Charge. Huawei’s Super Charge pumps power into the smartphone from 0% to 85% in just 30 minutes. Huawei’s Balong 5000 5G modem comes on board via the chipset, thereby allowing 5G connectivity that makes the phone download files of 1GB in as a little as 3secs. Huawei Mate X was unveiled by Huawei at MWC 2019 in Barcelona. It is slated to be launched before or during summer this year. 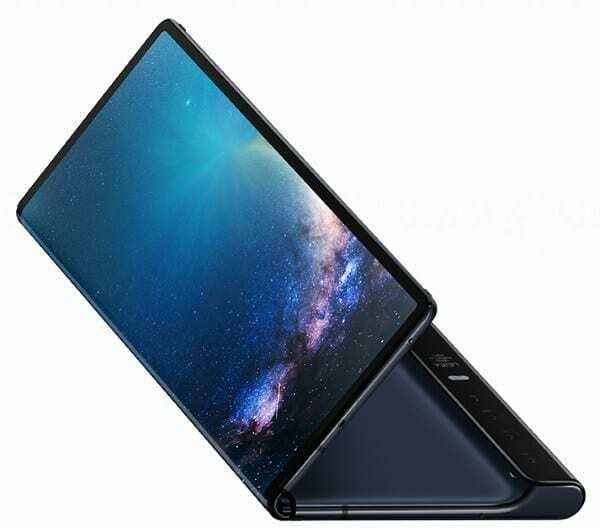 Upon release, the foldable smartphone will go for the price of $2,300 that’s about 820,000 Naira depending on the deal.